In this engaging book David Clark guides the reader through the theology of CS Lewis and illuminates the use and understanding of scripture in the works of this popular author. 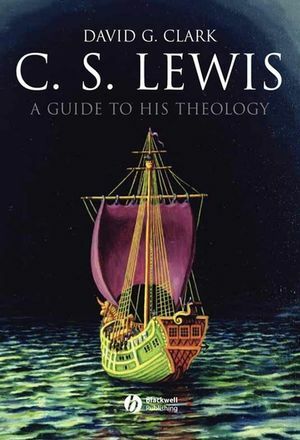 Written in an accessible style for general readers, students, and scholars, and will introduce Lewis’ theology to a wider audience. David G. Clark is Professor of New Testament and Greek at Vanguard University and Adjunct Professor at Fuller Theological Seminary. He has taught courses and led workshops on C. S. Lewis for more than thirty years and is senior editor of The Lamp-Post, the publication of the Southern California C. S. Lewis Society. Lewis the Apologist and Mentor..
1 From Atheist to Apologist. Lewis as Believer and Mentor..
2 Lewis Looks at His World. Aesthetics and Morality in the "Green Book.". Aesthetics and Morality in That Hideous Strength. Aesthetics and God in Reflections on the Psalms. 3 Lewis Reaches Out to His World. The Redemption Story: Lewis’s Subtle Approach. The Redemption Story in The Lion, the Witch and the Wardrobe. The Redemption Story in Perelandra. The Myth That Entered History. The Redemption Story: Lewis’s Direct Approach. 4 Humanity in God’s Creation. Animals in the Space Trilogy. The Myth of Cupid and Psyche According to Apuleius. The Myth According to Lewis. The Meaning of the Myth. 6 God’s Plan for the Soul. The Descent of Christ in The Great Divorce. The Descent of Christ in Scripture. Is There a Second Chance? 7 God’s Plan for the Body - and the Universe. Conclusion: The Legacy of Lewis. Did Lewis Pass the Test?